Sport - Spun Fibre Arts, a local and online yarn store specializing in natural fibres. Silk, wool and mohair combine to give this yarn a tweedy effect. 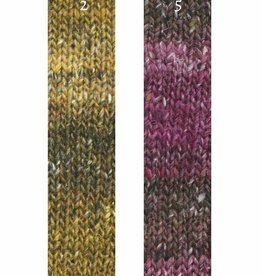 3DogKnits is locally hand-dyed in Ontario by Jane Steeves. 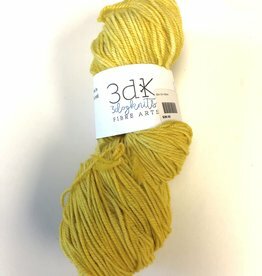 This DK weight yarn is 80% Merino, 10% Cashmere and 10% Nylon. DROPS Baby Merino is spun in 100% merino extra fine wool. Hand painted, superwash merino in a DK weight. 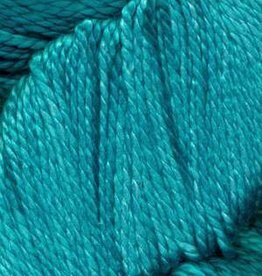 Luxury Silk Sport is a 100% mulberry silk, hand dyed yarn in vibrant tonals that shimmer and shine.